For school-aged youth, access to a gun can increase their risk for becoming a victim of or for committing a violent crime, including suicide and homicide. It also increases a child's risk of experiencing an unintentional injury or death. Youth may gain access to guns in school, friends' homes or other settings. No matter the source, gun access can increase the chances of an adolescent being involved in an injury or crime. 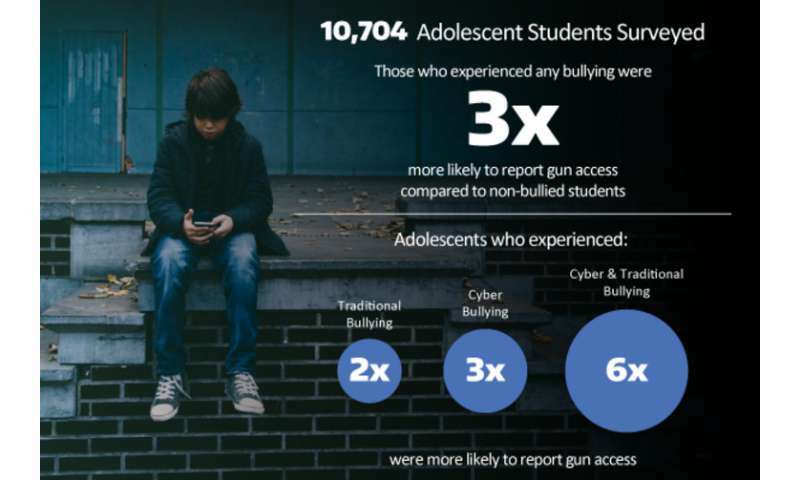 Of the 10,704 students included in this study, about 4 percent (446 students) said they could get access to a loaded gun without adult permission. This number is startlingly high, and should be of great concern given the frequency of school shootings in the U.S. It becomes even more concerning when we compare students' self-reported experience of being bullied.